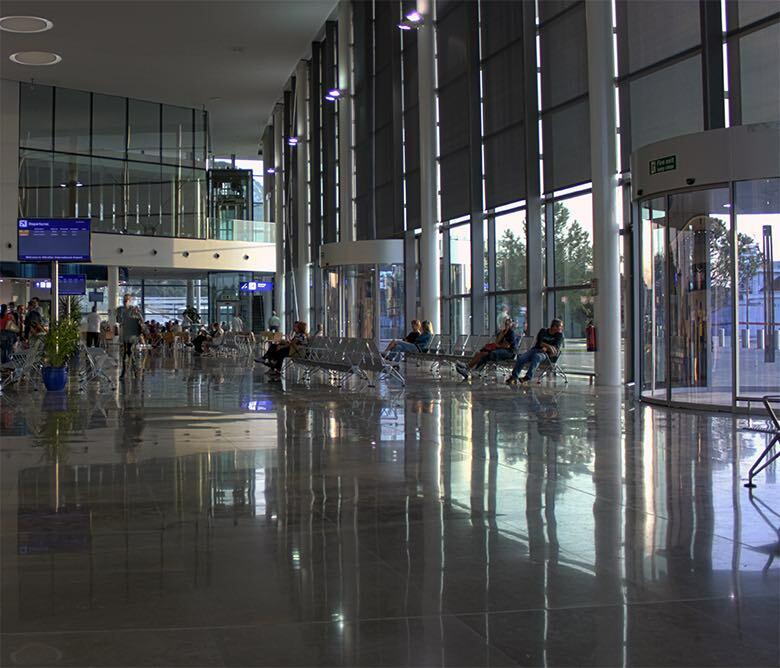 Using natural stone in airport terminals is one of the biggest challenges that a natural stone supplier can face. 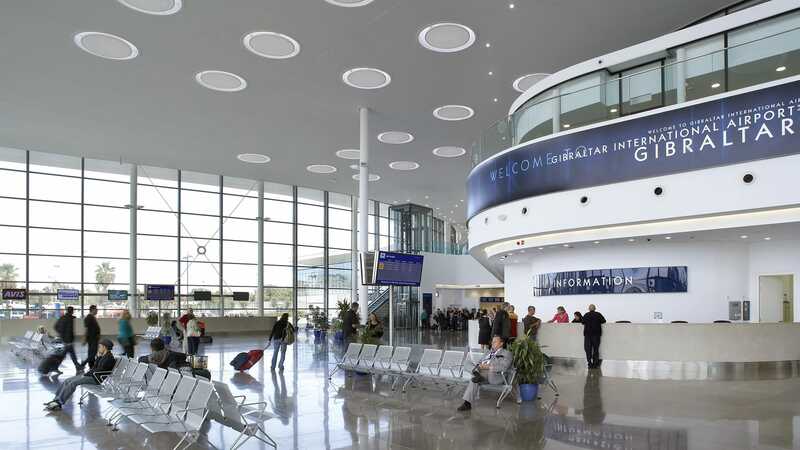 Airport terminals are public spaces of maximum confluence where the need of aesthetic, comfort and modernity are combined with requirements of functionality and durability. Designing newly constructed airports or extensions of terminals of existing airports is an excellent opportunity to express the progress of the cities, and this process always implies responsibility of all the involved parties. Therefore, for this type of project, it is essential to select a suitable stone being able to translate the literality of an architectural project. An undertaking that in most cases is unique and must be able to withstand high foot traffic as well as constant and demanding maintenance. 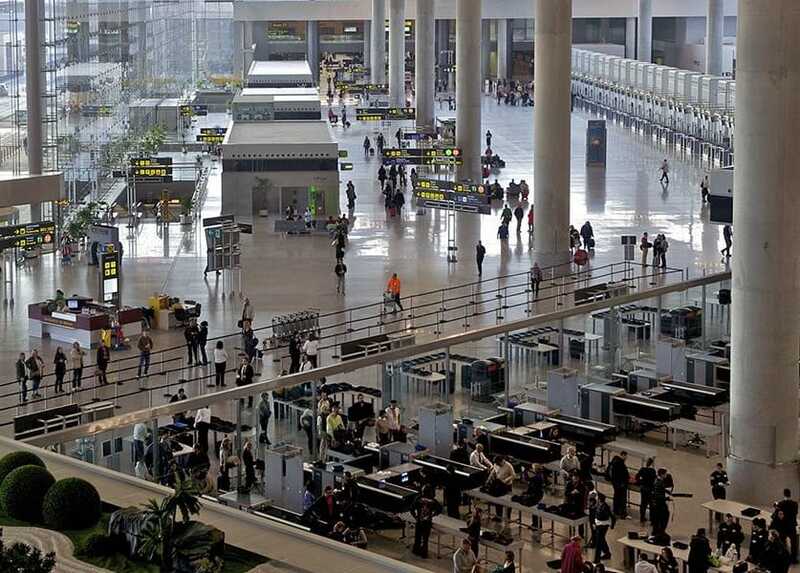 In addition, airport terminals tend to be open spaces with large surfaces, which means that it is necessary to foresee sufficient supply in terms of timing as well as quantities and a meticulous classification of the stones as adjusted as possible to the reality. These kinds of stones have to have optimal physical-mechanical characteristics to abrasion and absorption. In these projects, you also have to be very aware of the textures and finishes because the comfort and safety of the users will depend on it. The terminals are meeting places, witnesses of many activities, both pleasure, and work. They are spaces of welcome and farewell. Spaces of hustle, of comings and goings, of experiences of jetlag, of waiting, of meals, dinners, and purchases. The whole known social and multicultural spectrum transits through them. They represent micro-cities in themselves which is undoubtedly one of the most significant challenges for a designer. How to support logistics structures for luggage management, etc. 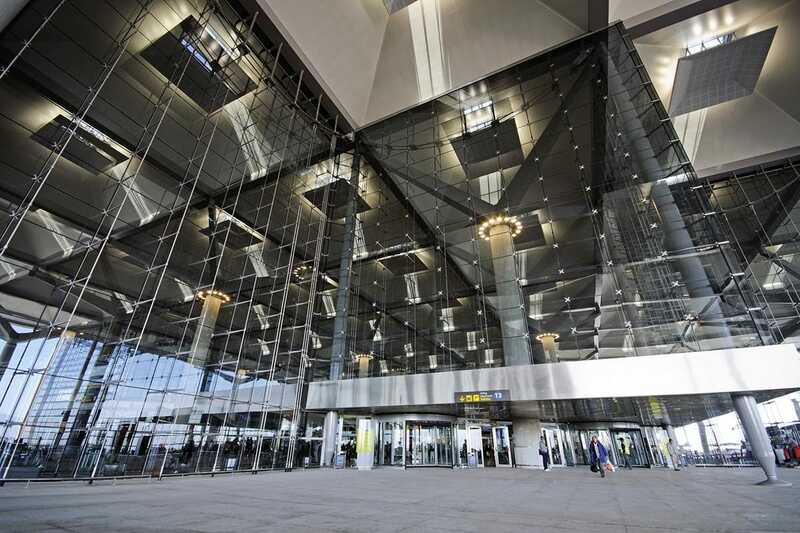 How does the use of natural stone benefit airport terminals? From the aesthetic point of view, it is a beautiful material which allows to achieve an expressive language of greater significance capable of presenting the city of arrival as a modern, prosperous and cosmopolitan place. Depending on the stone selected, and the use made of it, it can become one of the most resistant, durable and best-maintained materials in the market. The versatility of its finishes facilitates the modulation of the surface depending on the needs. It supports the design of large formats, as well as various finishes, for example, polished or honed in beautiful areas and anti-slip textures in ramps and areas that require special care. As well as all kinds of particular pieces in accesses, toilet areas, etc. 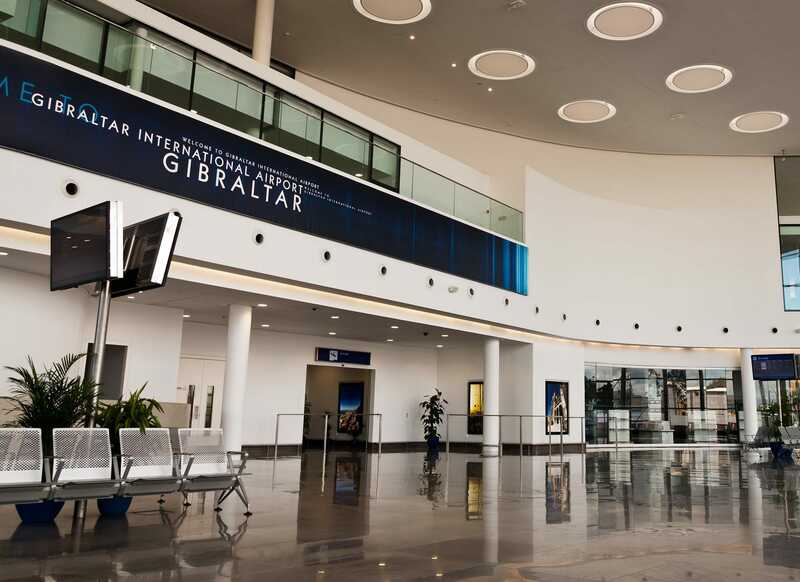 TINO Natural Stone has contributed to the construction and remodeling of 2 major airports in the Iberian Peninsula: Malaga Airport and Gibraltar Airport. Let’s see both cases. It is the most important airport on the Costa Del Sol. According to AENA’s corporate website, 16,673,151 passengers, 123,700 flight operations and 2,287 tons of cargo pass through it each year (data of 2016). 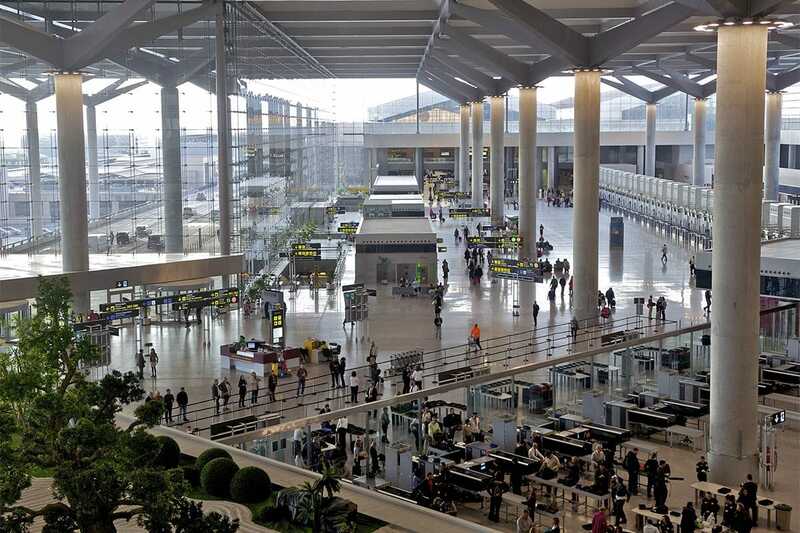 As a marble supplier in Malaga, TINO Natural Stone participated in the remodeling of Malaga airport terminals using white, gray and black granite. A magnificent example of natural stone in airport terminals. The dimensions of the enclosure and the volume of bystanders required a material that was very resistant to abrasion, that is to the wear of high traffic, with the lowest possible porosity and that facilitated the daily maintenance. It is a significant airport due to its geostrategic situation. According to the corporate website of the airport, each year 571,184 passengers, 4,888 flight operations and 302 tons of cargo pass through it (data of 2017). 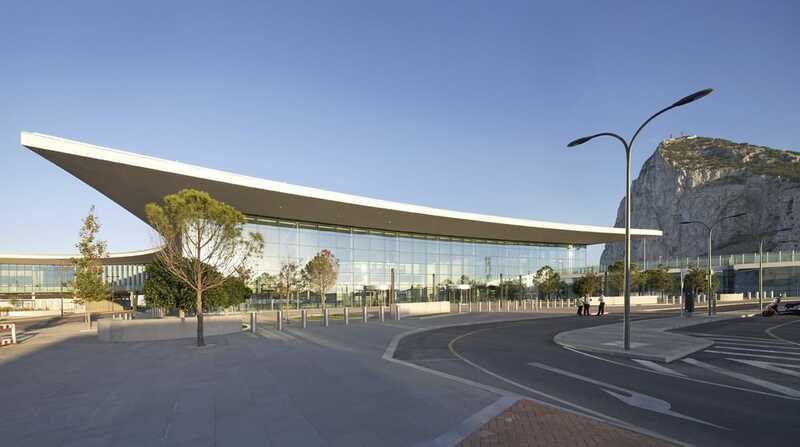 TINO Natural Stone participated in building the new terminal by applying Gray Navy on an area of ​​20,000 m². Gray Navy remembers the color of the Rock of Gibraltar at sunset and is an elegant dolomite marble, sober, robust, contemporary and synonymous for good taste. This material with high resistance to abrasion also has, due to its surface appearance and color, high tolerance to the passage of time and daily maintenance. You may also be interested in “Marble in shopping centers” and “Natural stone in skyscrapers (interiors)“. 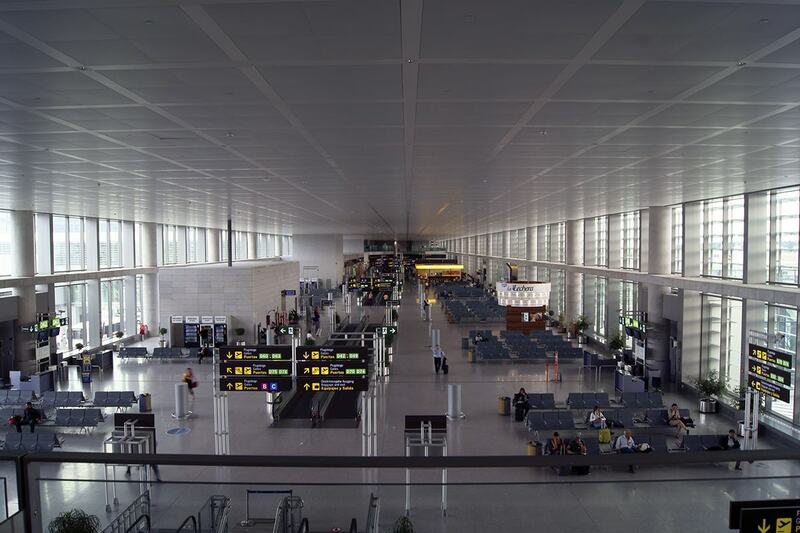 If you want to know more about the natural stone in airport terminals, contact us.